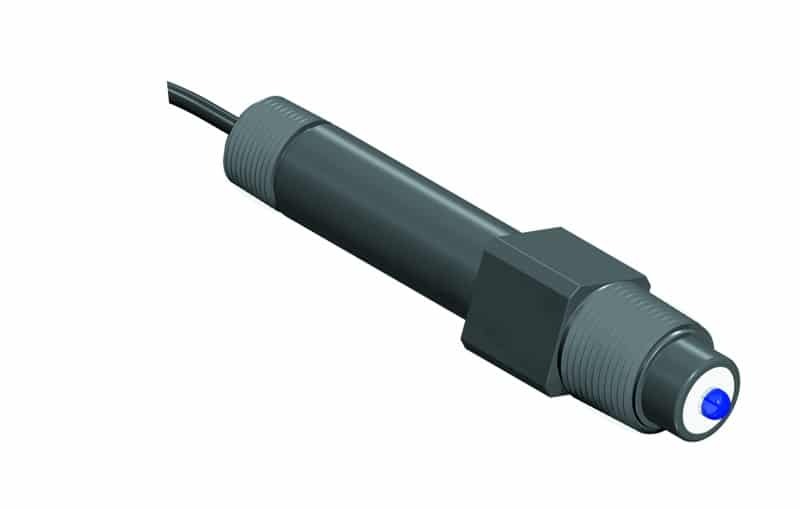 The ST973 is a rugged, sealed sensor assembly designed for in-line or submersion applications. 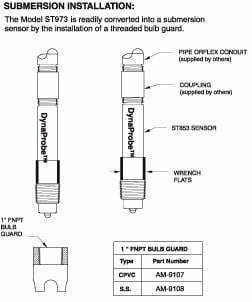 The patented solid state reference cell features the unique IonTrap™ design for extended service life in the most severe applications. 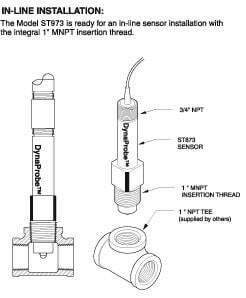 The body, with an integral 1″ MNPT insertion thread, is moulded from chemically resistant Ryton (PPS) and the reference junction is either porous Teflon or wood. Built-in temperature compensators are available. 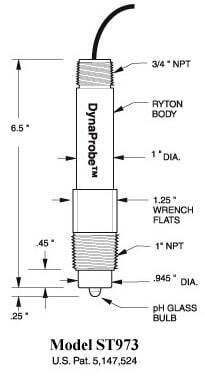 Optional sensor guard threads onto the front of the sensor and protects the sensor tip from impact. Sensor also available in ORP (Redox) version.